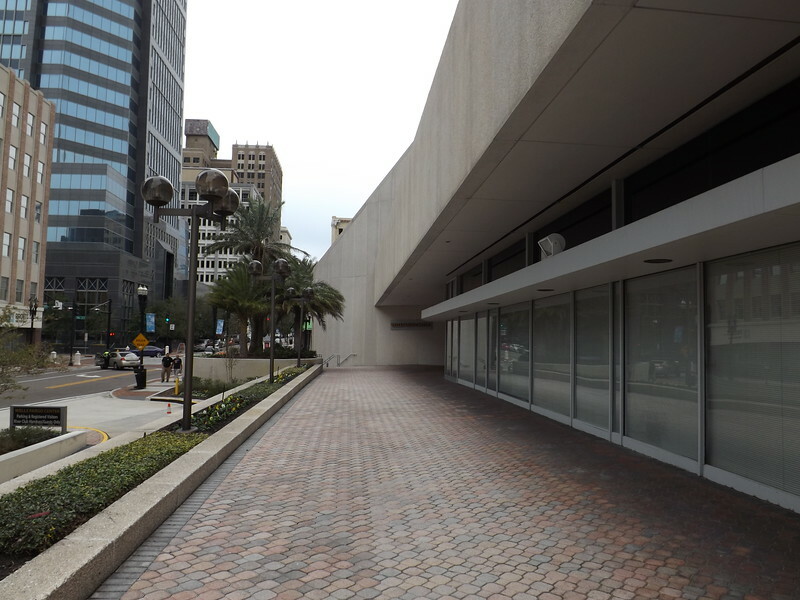 There won't be a Publix, Macy's or St. Johns Town Center opening up shop in downtown Jacksonville anytime soon. However, this does not mean that all is lost. 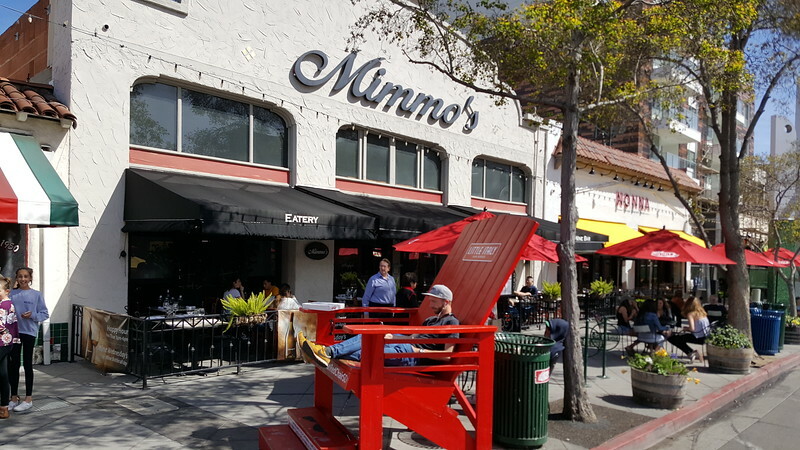 Exposing and maximizing hidden retail and restaurants that already exist is an affordable placemaking solution that will enhance walkability, stimulate additional foot traffic, and create economic opportunity for additional businesses to thrive. Question: What do these five images illustrate that is hard to find in Downtown Jacksonville on a consistent basis? 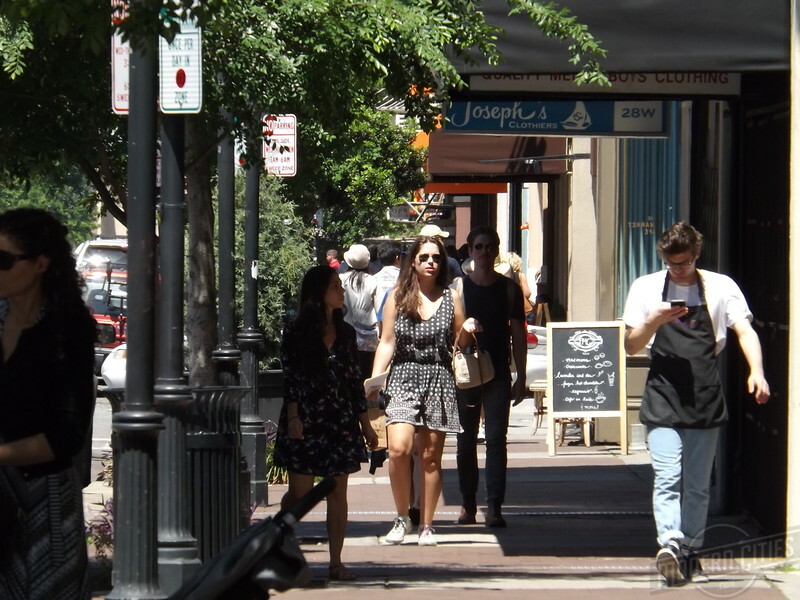 Answer: All of the images illustrate vibrant pedestrian friendly scenes where businesses are seamlessly integrated with the sidewalks and the streets adjacent to them. Buildings that interact with the pedestrian at street level, inside and out, are a key ingredient for any retail friendly downtown. With this in mind, there should be active ground floor uses that create valuable experiences along a street for both pedestrians and motorists. 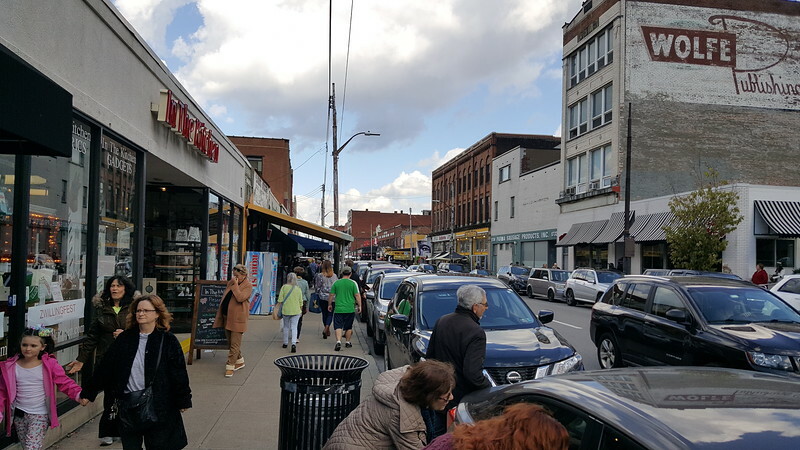 For example, a row of shops along a street is generally more interesting, comfortable and engaging to walk by than a solid wall or surface parking. Sidewalk activity also serves as a tool to reduce vehicular speeds through the core. At the very minimum, street level spaces should be engaging visually, allowing passers-by to enjoy the activity and aesthetics of the indoor space. This active interaction should take place year-round and unite both sides of the street on weekdays, nights and weekends. Despite the grim view many have of downtown’s retail scene, one may find it surprising to learn that there are a number of businesses in the heart of the city already in operation that can not be seen from the street. Not only is this situation financially limiting for local business owners, it also serves as a major contributing factor to the empty feeling of downtown’s streetscape. 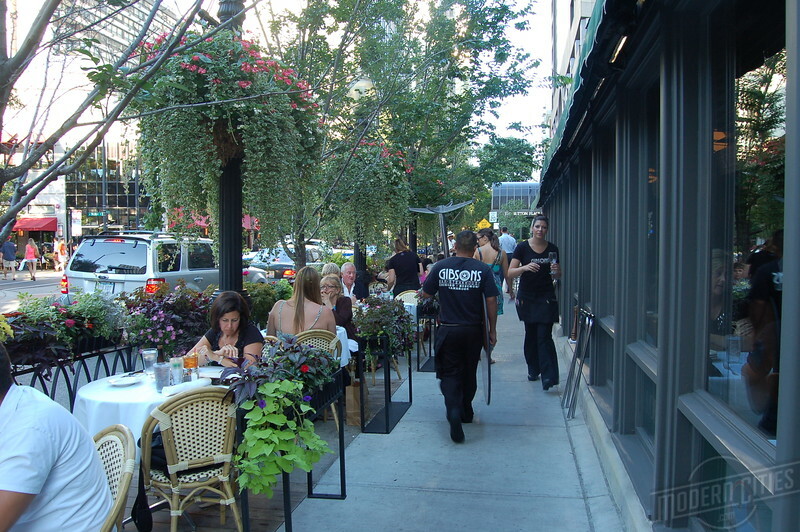 The following examples all fall within the “walkable core” of the city. Located on the first two floors of the TIAA Bank Center, The Tower Mall is home to several retailers, eateries and services. It’s the only Class A office building in the Northbank with direct access to a Skyway station. Unfortunately, the retailers and restaurants inside the building can’t been seen from the street. 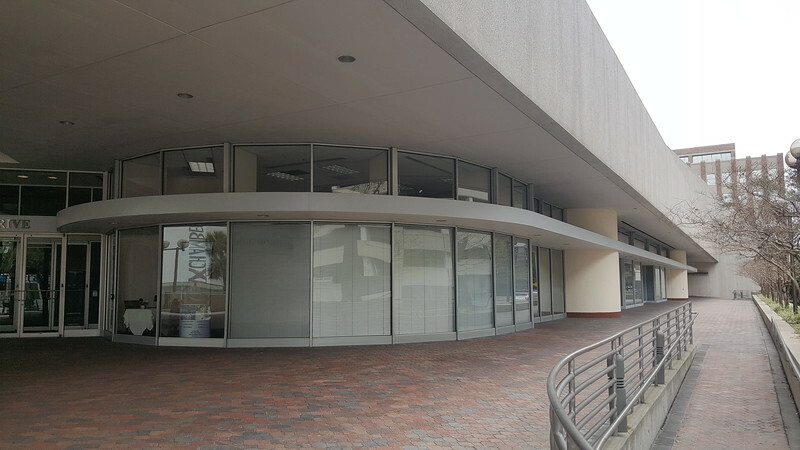 This entire block of West Forsyth Street retail inside the TIAA Bank Center can not be seen from the street, due to tinted windows, window treatment, landscaping and a lack of individual business signage. The entrance to the Tower Mall inside the TIAA Bank Center near the intersection of Forsyth & Pearl Streets. Confetti’s serves donuts, muffins, coffee, sandwiches, salads, and wraps at the corner of Forsyth & Julia Streets. 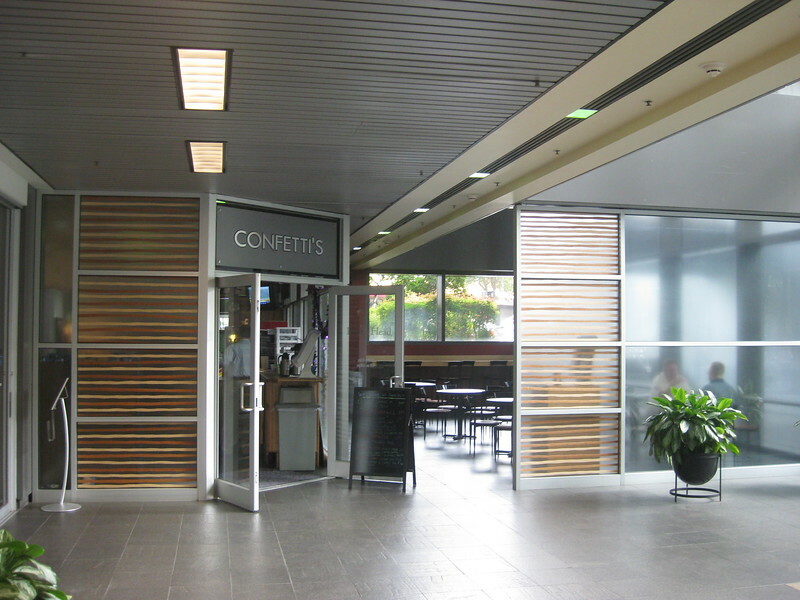 Unless you knew the general public could enter the building, you would never know Confetti’s actually exists. Nature’s Table is another restaurant operating inside the TIAA Bank Center’s Tower Mall. 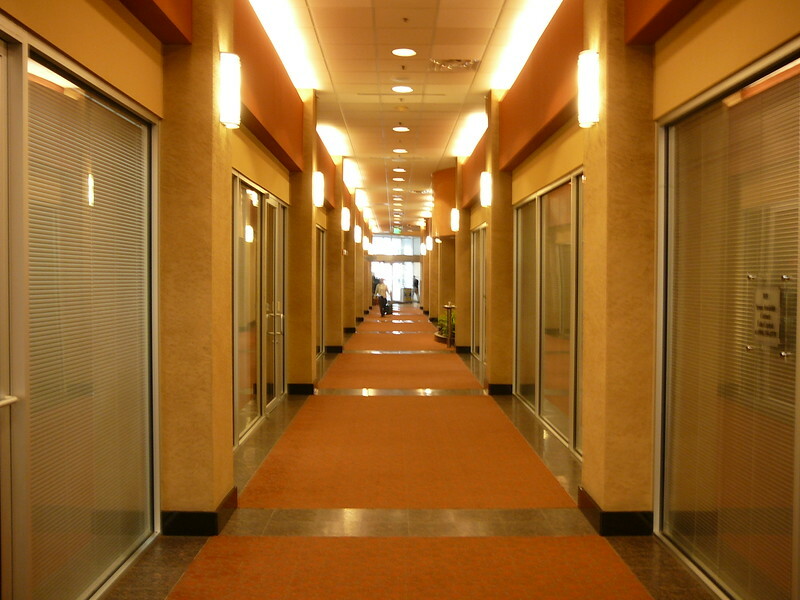 Several additional spaces remain underutilized, due to a setting that forces retailers to rely largely on office workers inside of the building. More businesses including a florist and large cafeteria, along with vacant retail spaces line the tower’s ground level arcade. One can only imagine what retail opportunities these spaces could have if the general public knew they were there or allowed to spend money in them. An office tower in Houston, TX featuring ground level retail with transparent storefront windows. Transparent windows at ground level, signage, better lighting, outdoor seating at mall entrances, and installing a mall entrance sign or directory along the sidewalk are all viable affordable options that would improve the pedestrian realm of this block bounded by Forsyth, Julia, Bay and Pearl Streets. Downtown’s second tallest tower serves as a major destination on Laura Street and is also adjacent to the Jacksonville Landing, Vystar Tower and within one block of three proposed hotels (Courtyard by Marriott, Hotel Indigo and Hyatt Place). If city leaders and downtown advocates have any desire to stimulate pedestrian traffic in the heart of the core, integrating this building with its surroundings at street level should be ground zero for that vision. Currently, frontage that could be continuously lined with outdoor seating, individual storefronts and pedestrian interactivity for a full block of both Laura and Bay streets remains desolate due the building’s interior focus at street level. 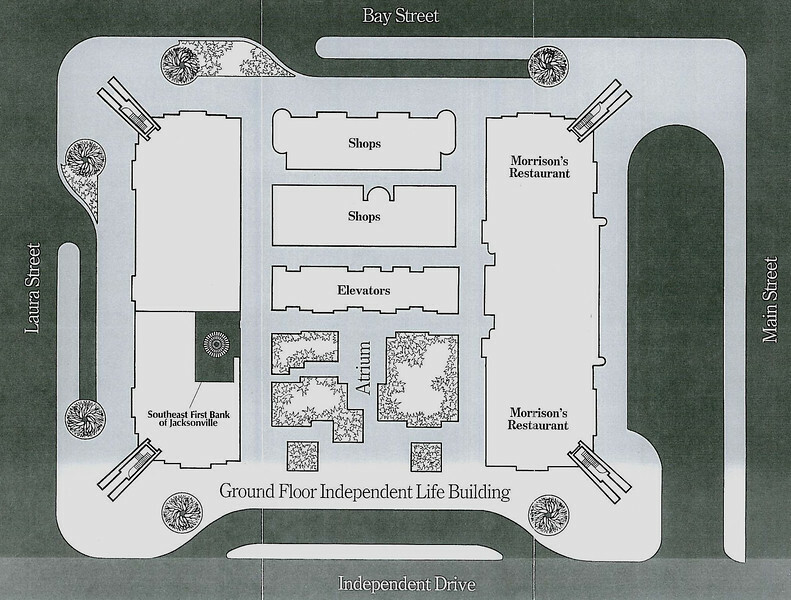 The original retail floor layout of the Wells Fargo Center when it opened in 1975. Designed to become an identifying landmark for the city of Jacksonville, things weren’t always this way. Intended to become a “city under one roof”, the tower included a retail mall, restaurants, a bank, a 360-seat theater-style auditorium, and an indoor four story atrium of tropical vegetation when it opened in 1975. Today, along with several vacant retail spaces, one can find businesses such as A Cut Above, Southlight Gallery and the Atrium Cafe & Grill with no direct access to the outside word, limiting their hours of operation and economic independence. 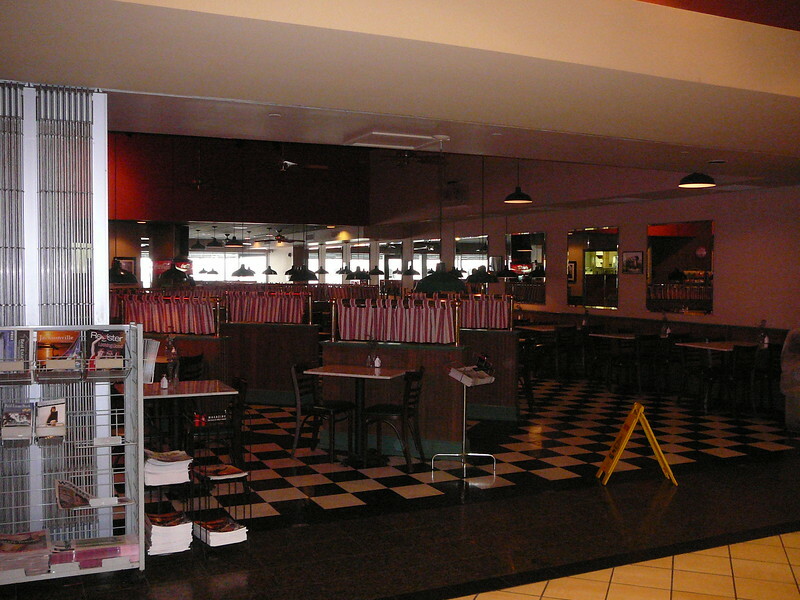 The Atrium Cafe and Grill inside the Wells Fargo Center. Vacant retail spaces inside the Wells Fargo Center at street level. Since the majority of pedestrians who know that retail space inside this building actually work in it, the number of vacancies remain high and the streetscape surrounding the structure remains morbid. 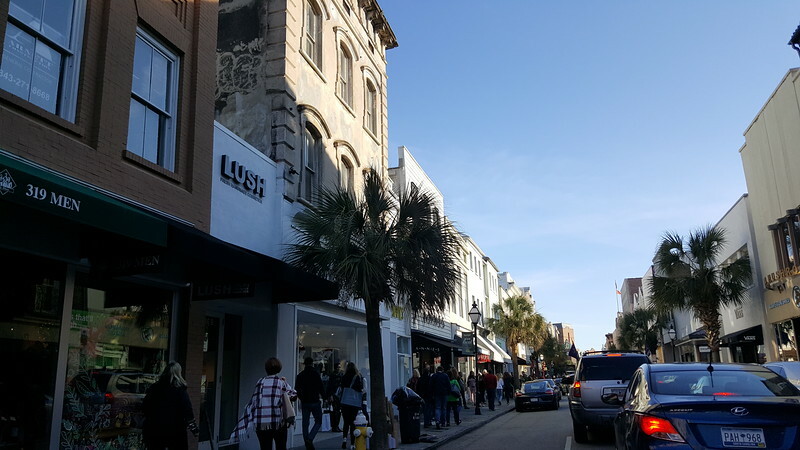 Underutilized and inaccessible storefronts facing Laura Street. Underutilized and inaccessible storefronts facing Bay Street. A view of the Wells Fargo Center’s retail mall entrance at the intersection of Main and Bay streets. An individual storefront, signage and outdoor seating on the ground level of an office building in Rosslyn, VA. The Wells Fargo Center was originally built to be fully integrated with the outdoor environment around it. 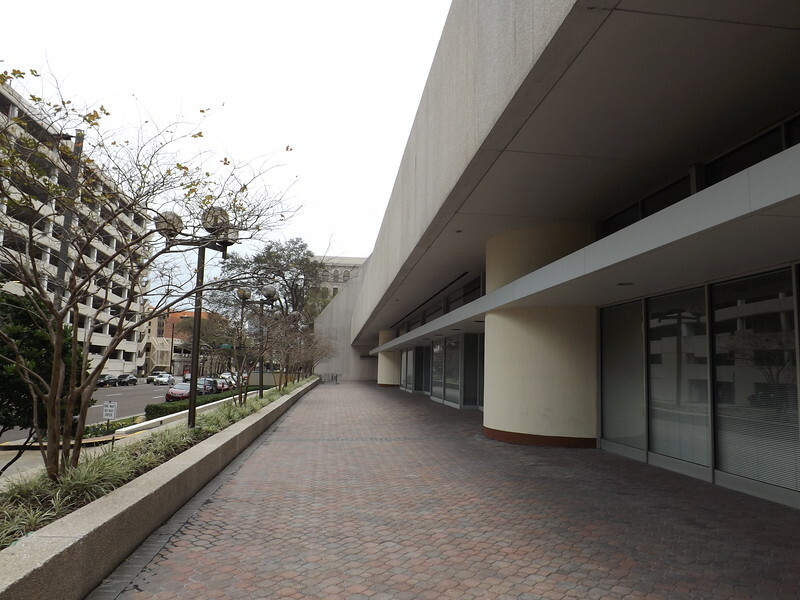 The addition of individual storefront entrances, business signage and outdoor seating on the building’s wide courtyard-like sidewalks would be great solutions for enhancing retail leasing opportunities at the Wells Fargo Center and stimulating pedestrian traffic in a highly visible location in the heart of downtown.